3″ Alpha Hot-Rod Wheels. Alpha developed a revolutionary way to improve the efficiency of Fabricators. For years, Granite and Stone Fabricators in general, have employed labor-intensive procedures for creating channels in the underside of Countertops to accommodate stainless steel reinforcing Rods at Sink and Cooktop cutouts. Alpha recognized the opportunity for improvement and developed the Alpha Hot-Rod. With this blade attached to the Alpha AWS-110 or AWS-125 Wet Stone Cutter, a Fabricator can accomplish the task in one easy pass. The Hot-Rod for Granite Blades were created with Diamond Grits and Matrix best suited for all categories of Granite, including Hard Red Granite, to assure a long cutting life. With a 3” diameter, the Blade allows for easy use and better leverage when cutting 1/4” deep channels, by allowing for better positioning of the Stone Cutter’s handle. This blade is now available in three thicknesses: 1/4” for standard rods, 1/8” for thinner rods and 3/8” for threaded rods.The Hot-Rod for Marble applies the same technology but is designed for Softer Stones such as Marble. 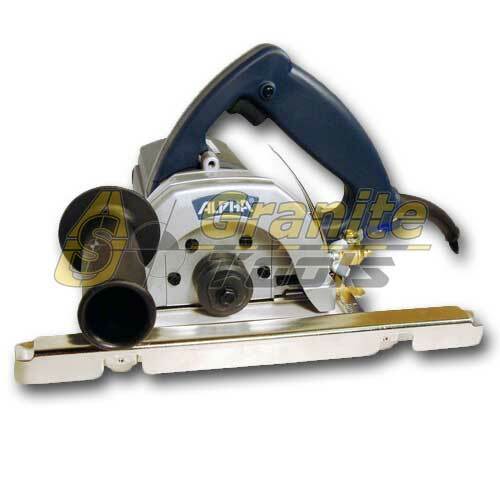 For efficient creation of channels for reinforcing rods, attach this unique blade to the AWS-110 or AWS-125 for a smooth, dust-free operation. Used in this manner, productivity will increase significantly. 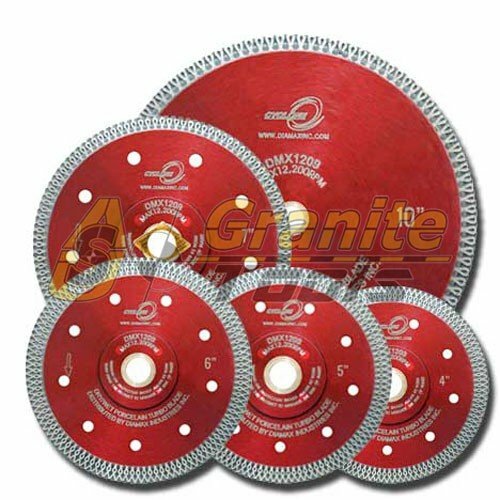 Although Alpha recommends Wet Cutting, these Blades may be used Wet or Dry.